Located west of the Shenandoah Valley of Virginia in the George Washington National Forest, Shenandoah Mountain is one of the largest tracts of wild land left in the Eastern United States. Shenandoah Mountain provides diverse wildlife habitat, outstanding outdoor recreation opportunities, and clean water for drinking and aquatic life. It also helps support our local tourism-based economy. Our proposal for the Shenandoah Mountain area is a combination of National Scenic and Wilderness designations. This combination maintains current access and offers the strongest protection to core wild areas. National Scenic Area (NSA) designation will protect the scenic, cultural, historic, recreational, and natural resources of Shenandoah Mountain and allow popular forms of recreation, such as hunting, fishing, mountain biking and driving motor vehicles NSA designation will protect the area from logging, road-building, hydrofracking, industrial wind development, and other activities that would mar the natural character and degrade the recreational opportunities of the area. VWC supports wildlife management by timbering around the periphery of our proposal. Wilderness designation of the most remote, wild areas within the NSA offers the strongest protection. The proposed Wilderness areas do not have any roads. The boundaries apply to federal land only. Any private landowners surrounded by the NSA will continue to have access to their property and will retain all rights. All current roads will remain open for access. We are currently seeking endorsements for this proposal from organizations, businesses, and faith groups. 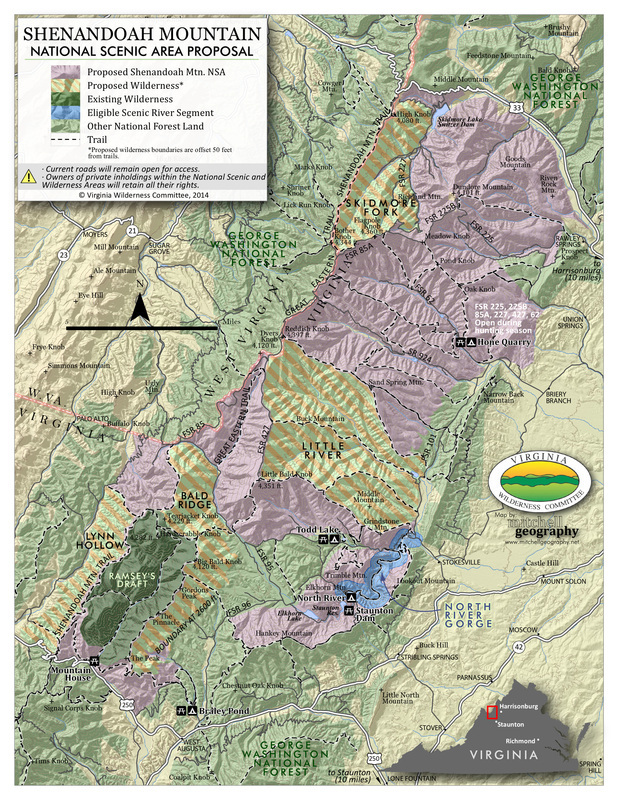 See Friends of Shenandoah Mountain to read more detail about the areas and to endorse online. 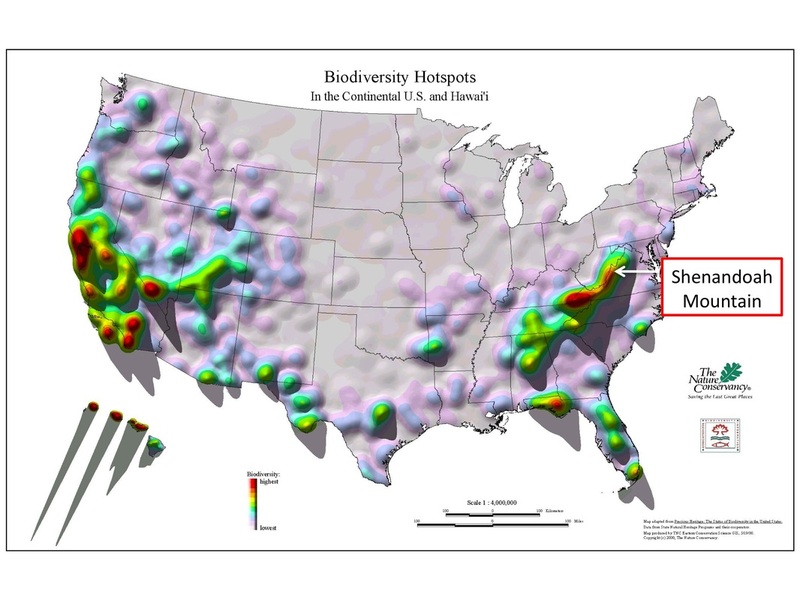 Shenandoah Mountain lies within a biodiversity hotspot identified by The Nature Conservancy.